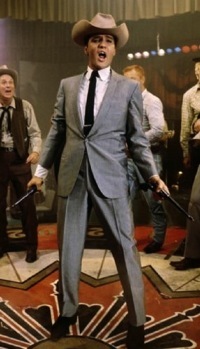 Certainly Viva Las Vegas is one of the most remembered of Elvis Presley’s 31 theatrical films. That’s due to two factors. The first is the pairing in the lead roles of Presley and Ann-Margret, two of Hollywood’s hottest film commodities in 1964. The second is the film’s theme song, which through the years has served as the unofficial anthem of the booming entertainment center in the Nevada desert. 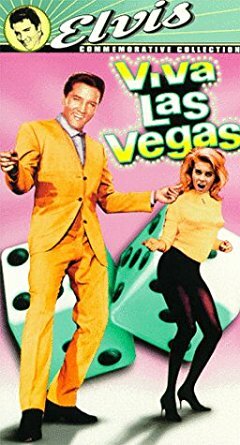 While not considered a critical masterpiece, Viva Las Vegas is a classic in its presentation of its two energetic, young musical stars. 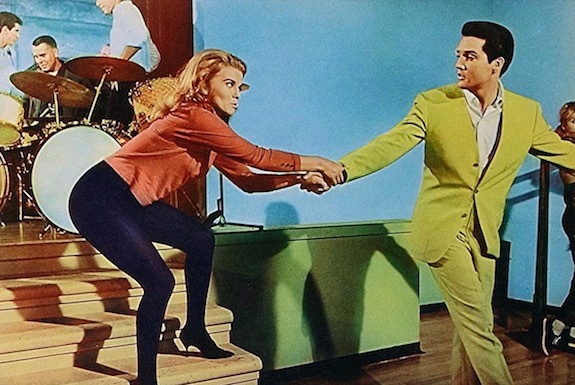 Everything else in the film is secondary to the screen rapport between Elvis and Ann-Margret. With camera angles accentuating the attractive physical features of both, it is difficult for the average viewer to focus on other aspects of the movie. 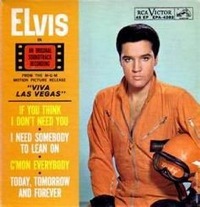 When reviewers considered Viva Las Vegas on its release in 1964, however, they were obliged to look beyond the film’s stars in forming their assessment. Their appraisals varied, and so the movie received mixed reviews. 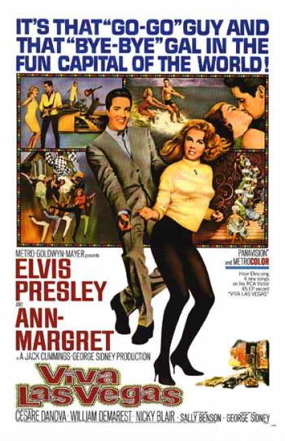 The difference between the two reviewers was that Variety’s still operated under the impression that Presley should be making more serious films, while Thompson at the Times understood that Elvis and his Hollywood handlers had come to the realization that light, musical comedy was the star’s box office niche in pictures. So, while “Tube” kept looking for dramatic substance in Viva Las Vegas and found only a “hackneyed yarn,” Thompson sat back and allowed the unassuming and visual narrative to have its way with him. “This time Metro-Goldwyn-Mayer happily teams him with Ann-Margret, a perfect musical foil with her galvanized dancing,” Thompson noted. “The story … as directed by George Sidney, tools along rosily. Of course, with two versatile musical talents available, Viva Las Vegas is packed with song and dance numbers throughout. 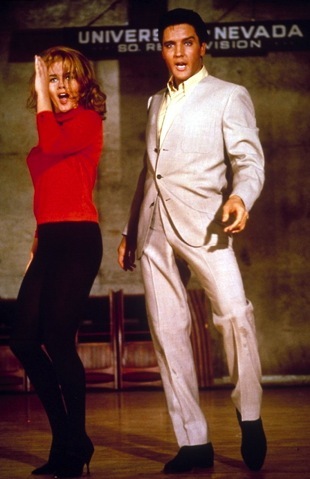 Elvis sings seven solo tunes, and Ann-Margret performs two songs, along with showcasing her dancing talent several times. The two also combine for a vocal duet and a couple of dance numbers. 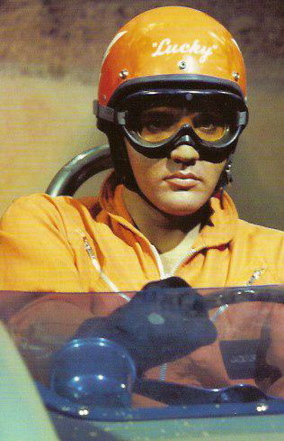 It was the only time in Presley’s film career that he shared the spotlight with a performing talent of comparable ability. Reluctantly, this Elvis fan must admit that Ann-Margret held an edge over him in their musical performances in Viva Las Vegas. 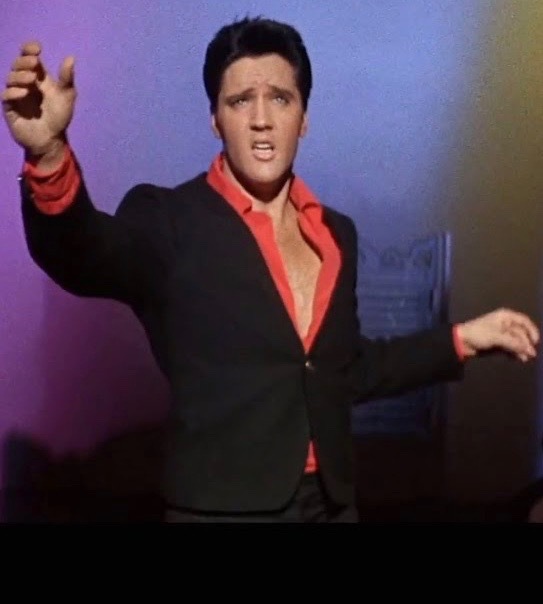 Choreographed dancing was never Elvis’s strength, and while he was lively enough on his feet in this film, he couldn’t quite match his co-star’s energetic dancing style. Of course, norms for such arousing displays in films have changed in the past 45 years. 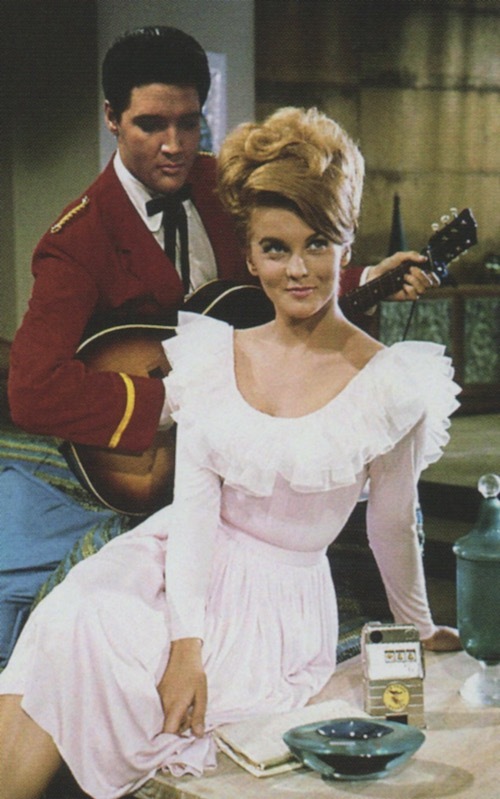 Today the worst that can be said about Ann-Margret in Viva Las Vegas is that she was just too darn cute. "Viva Las Vegas is a classic in its presentation of its two energetic, young musical stars. 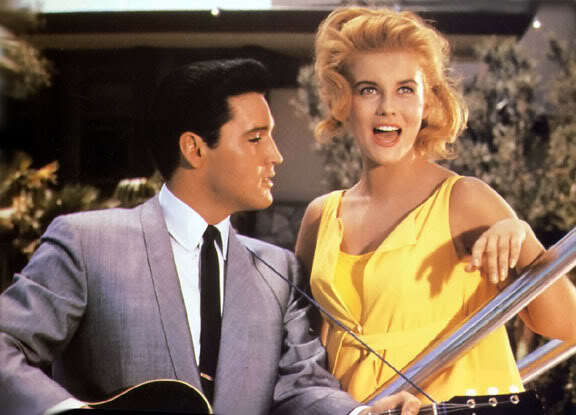 Everything else in the film is secondary to the screen rapport between Elvis and Ann-Margret."